The bill goes further than existing federal labor law. Two of the country’s most prominent women lawmakers, Sens. Kamala Harris and Lisa Murkowski, will introduce a bipartisan bill Tuesday to ban the kind of nondisclosure agreements that companies have used to silence employees at places like Fox News and the Weinstein Company from speaking up about sexual harassment. 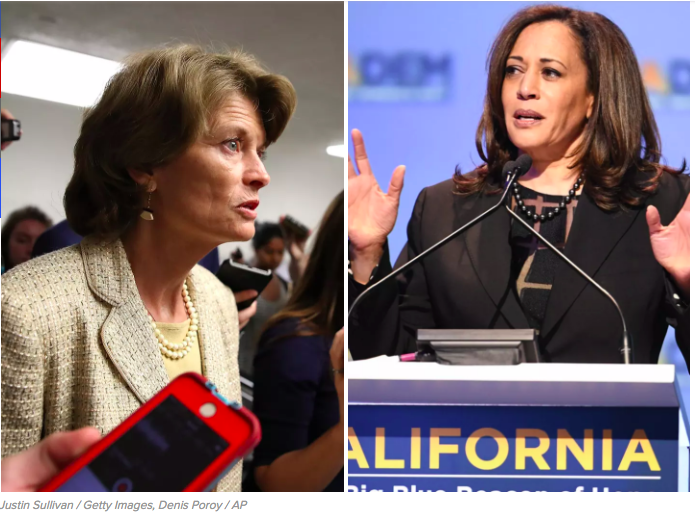 The bill from Harris, a California Democrat regarded as a top presidential contender, and Murkowski, a moderate Republican from Alaska, would dismantle some of the barriers to uncovering and stopping workplace harassment. It comes in the wake of revelations about sexual misconduct by business moguls whose companies compelled employees to sign NDAs. Called the EMPOWER Act, the bill makes it illegal for companies to include sexual or other types of harassment in nondisclosure contracts with their employees. And, like a previous bill by Sen. Elizabeth Warren, it requires public companies to disclose the number of harassment settlements they’ve reached with employees, including exposing whether the company has protected repeat offenders. Companies increasingly compel employees to sign nondisclosure agreements, or NDAs, as a condition of their employment, or as they leave their jobs — with blanket clauses that forbid employees from disparaging the company in any way. The bill goes further than existing federal labor law, which makes it tough for companies to actually enforce NDAs when it comes to illegal activities like sexual harassment. In practice, the agreements are still sometimes used to intimidate or threaten employees, deterring them from going public with harassment allegations. Those labor laws are often sporadically enforced, and don’t cover some kinds of employees, like contractors or supervisors.